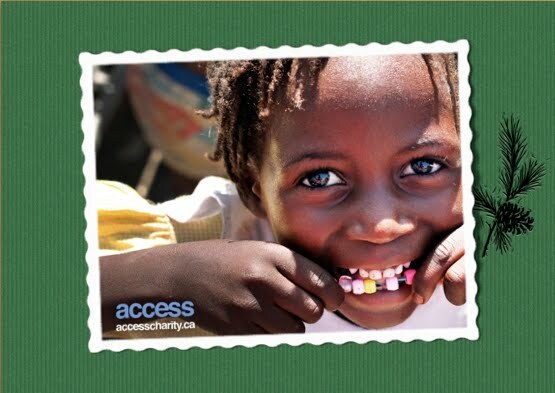 Thanks to the support of many individuals and organizations, ACCESS has had an eventful and successful year. We would like to thank you for your support in 2010! We appreciate your efforts this past year, whether you contributed financially, volunteered your time, informed others about ACCESS, or kept up with our work by following along online. Our second annual Youth Making a Difference Workshop, with the theme "Passion to Action" was a great success with attendees from several local high schools, and was supported by the United Way of Peel Region's Youth in Action Grant. This was thanks to generous support from the Dufferin-Peel Catholic District School Board, with which we also hosted the first ever Called to Action Social Justice Conference for the board's elementary students from over 70 schools, with the theme "Hope in Our World". This past summer, 4 ACCESS members joined a group of educators in traveling to Haiti, where we were blessed with the opportunity to sponsor new high school students and to meet Phanuel, the young man we have been supporting in his university education. ACCESS also partnered with Student Reach International, another youth-run non-profit organization, on the IMUMA project. We helped to support and educate a group of children in Tanzania (Africa) through funding education of a vulnerable child centre. Our first annual talent show, Arts for Change, was hosted in Mississauga and was a successful fundraiser receiving fantastic reviews. Over 50 youth performers presented talented acts ranging from world hip-hop dance champions to a choir of young classical vocalists. During the first half of the 2010-2011 school year so far, ACCESS has continued to make presentations in local elementary and secondary schools, educating students on life in the developing world and inspiring them to be socially just. This year, ACCESS has also expanded into the post-secondary realm in creating ACCESS U. Wilfred Laurier University has been the flagship school in establishing an ACCESS U campus club in Waterloo, Ontario, with a School Supply Drive and many capacity-building workshops for students. Looking ahead, ACCESS plans to recognize its 5th Anniversary with a Fundraising Dinner Celebration in the spring of 2011. On behalf of the ACCESS Executive Team, we would like to thank you for your support and wish you the best this holiday season in the new year!